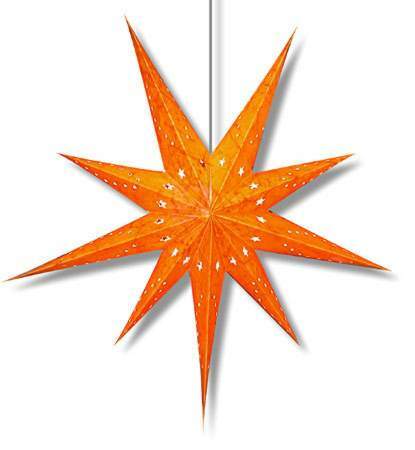 A batik effect is what makes this paper star lamp special. Color bubbles and swirls randomly on our wood-free, recycled cotton paper star lamp. Measures about 28" across. Includes complete assembly instructions. 12' electric cord with on/off switch optional for $3.50 more. 40 watt lightbulb not included with paper star lamp. Handmade in India. 9-point paper star lamp with batik paper.